Korey M. submitted this photo and caption. 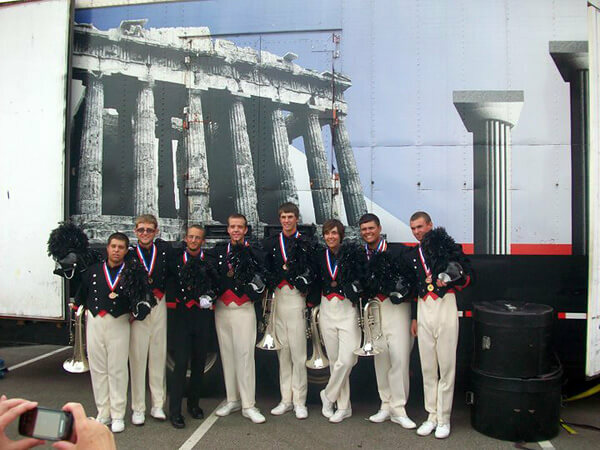 This photo was taken after the Open Class Finals outside of Lucas Oil Stadium in Indianapolis. All us went to high school together and spent the summer marching together with the Spartans.